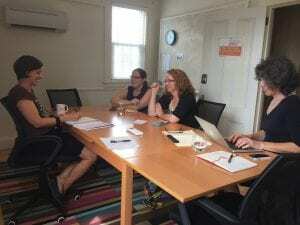 Running a business on MDI is hard, and finding an opportunity to connect with fellow business owners seems impossible… until Business Buzz and Brews! 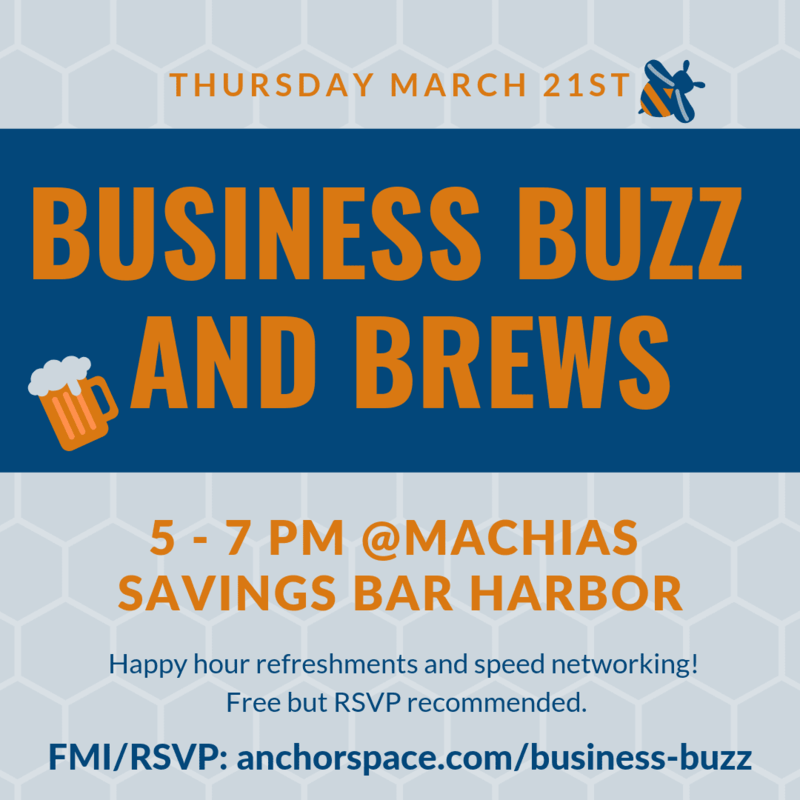 Machias Savings Bank has partnered with Anchorspace to get businesses together for quarterly speed networking events (alternating between mornings and evenings) at Machias Savings Bank’s Bar Harbor branch. 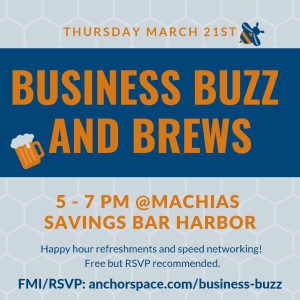 Join us for our first “after hours” event Thursday, March 21st from 5-7 PM and enjoy tasty treats and an adult beverage whilst speed networking to grow your business and meet new people who can help. Because of the format, you can come when you can and stay as long as you like. Get out your business cards and see what businesses you could get to know. Free for all, but please RSVP!